Heylo Everyone, Thank you all for your love and wishes. 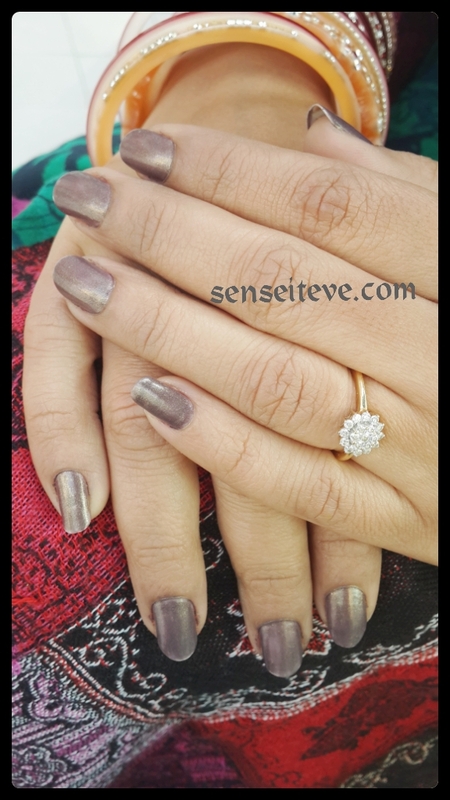 I’m here with review of one more shade from favorite nailpaint range of many Maybelline Colorshow Buried Treasure. The moment i saw this official picture on Maybelline India’s facebook page, I immediately took screenshot of it to remember the shade name and as soon as i got the chance to have a glace at Maybelline Colorshow nailpaint range, I bought it immediately. 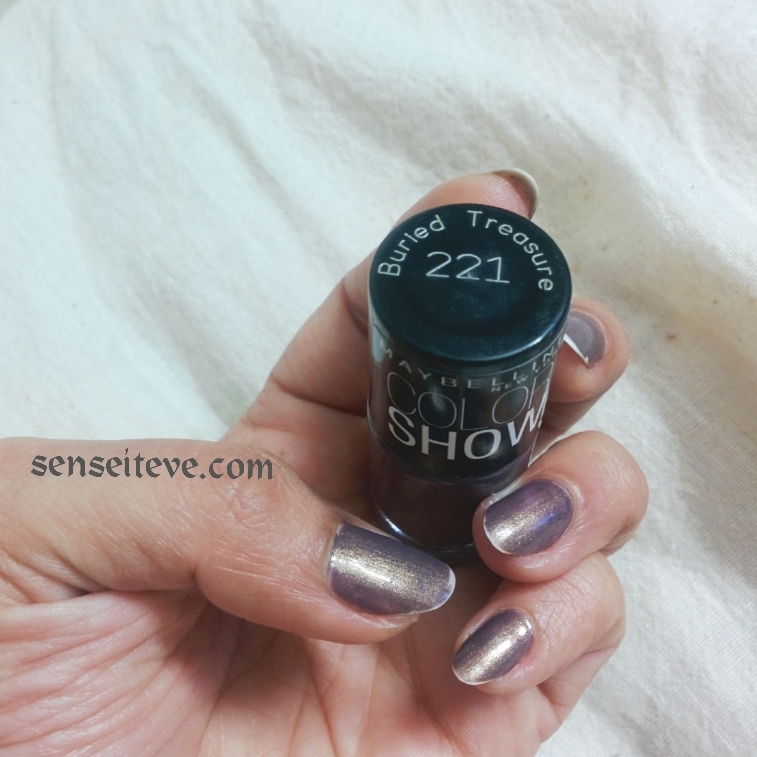 Read on to know why i love Maybelline Colorshow Buried Treasure. 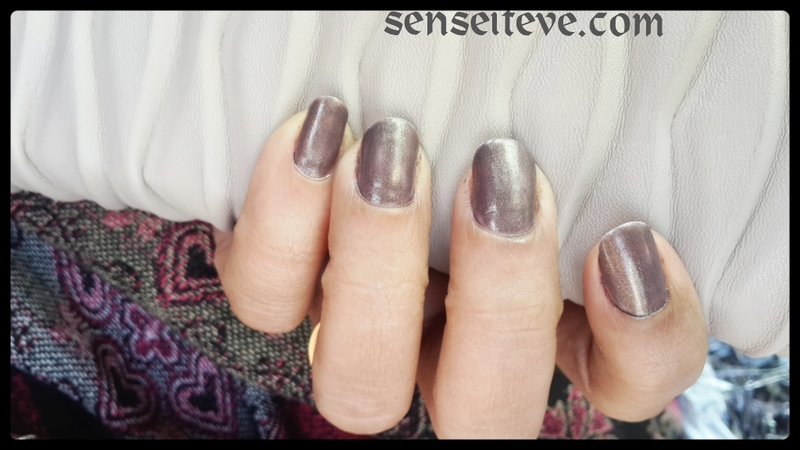 Single coat of Maybelline colorshow Buried Treasure is also not very sheer but gives very pretty look to nails but 2 coats bring out the royal look of nailpolish as the golden undertones gives beautiful golden metallic finish. It dries up quickly so applying more coats is not a problem. 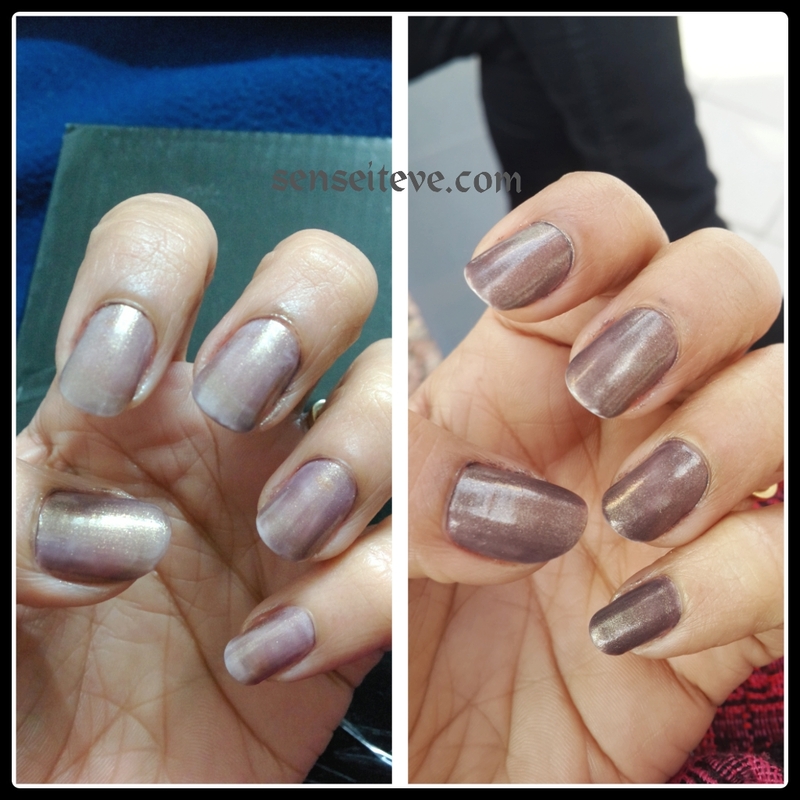 (left pic has 1 coat and right picture has 2 coats application). 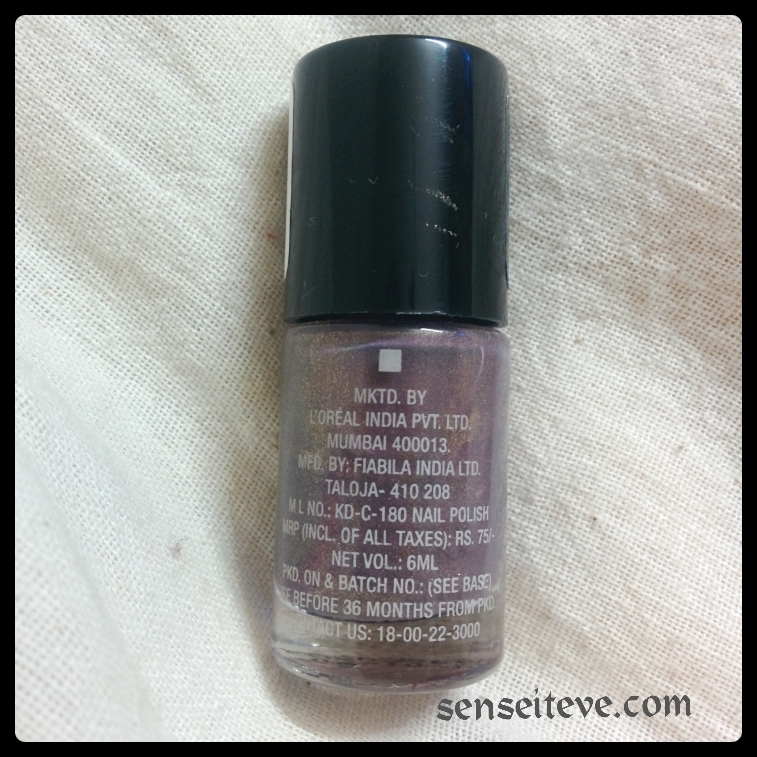 75/- INR for 6ml. Shelf-life of 36 months. Dries quickly and layering it is non-messy. When topped with clear top-coat wear time is 5-6 days. Golden undertones gives nice royal metallic finish on application. Wearing time is average when wear on its own. Stays put for 3 days then starts to chip from ends. Final Verdict: 4.8/5 (Go for it)..
Maybelline colorshow range is my favorite these days and they have 60 or more color shades to choose from plus they have glitter-mania range also. 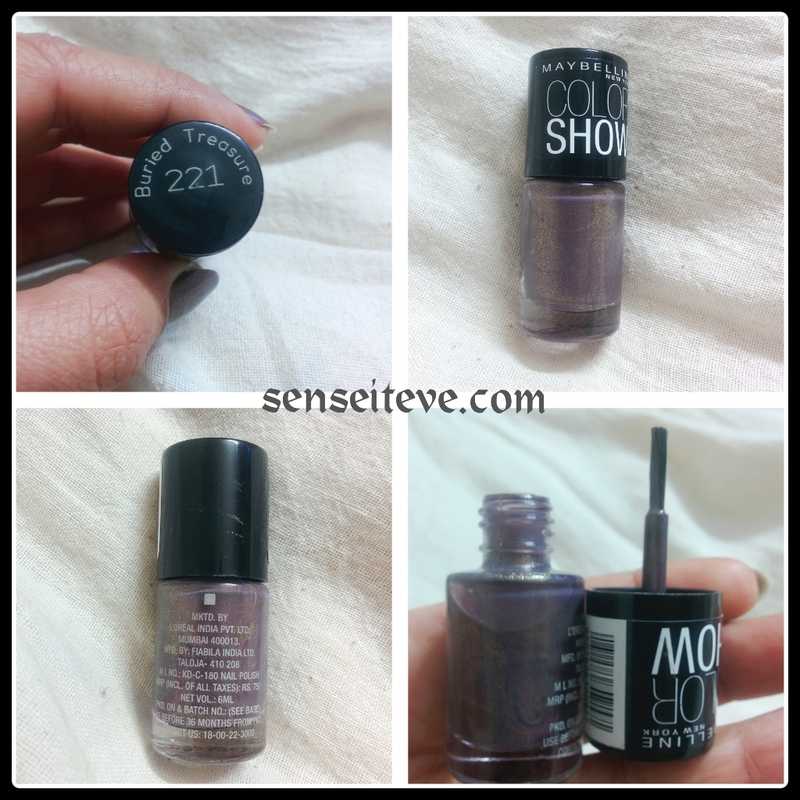 I have reviewed Maybelline Colorshow Silk stockings here and glitter-mania shades here and here. Thank you Anshul 🙂 I love the metallic feel too.. This color is so unique. It looks great. I love this shade..Infact Today I was planning to do My Manicure with This!! It looks pretty on Your Hands!! it is such a classy shade!!!!! mily recently posted…Online deals for the weekend! Love the shade Anu. It is really unique and looks so pretty. I too don’t mind the staying power of the polishes and on me they last around 5 days easily even without a base and top coat and last longer with them. They are super affordable and have very pretty shades. it looks like a perfect winter polish. can’t beat the price! Beautiful color! Look chic on the nails! Great review! Richa Saxena recently posted…The Body Shop’s White Musk Libertine EDT…Strikes a purrfect cord between soft & spicy! Whoaa!! This shade is really burried treasure. This is sucha lovely winter shade! !